I received the mentioned products from ThermaCELL in exchange for an honest review. The thoughts and opinions contained within thisreview are mine and may vary from the opinions of others. About ThermaCELL Heated Products: Working with avid outdoors enthusiasts over the past 12 years, it was repeatedly voiced that cold feet had a negative impact on time spent outdoors. 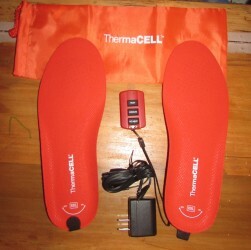 This outpouring of requests for a product that could warm feet to a controlled, comfortable level inspired the development of ThermaCELL Heated Insoles using a unique power source—rechargeable lithium batteries. Its initial success in the pilot stage during 2011 developed into a global business with product offerings for a casual user (Original Heated Insoles) to an all-day enthusiast (ProFLEX Heated Insoles). Schawbel expanded its cold weather products to include ThermaCELL Heat Packs that use the same proven technology as Heated Insoles. With the addition of ThermaCELL Heat Packs, ThermaCELL Heated Products can now keep you warm from head to toe. What We Thought: ThermaCELL offers high quality heated products for when our days get cold and we are outside, either for work or play. I live in Virginia where sometimes we have very cold temperatures and other times we have milder fall and winter days. 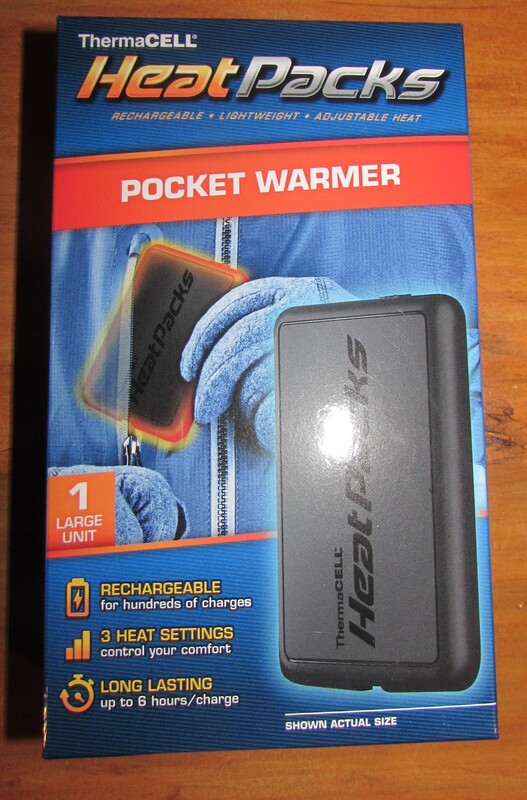 I was happy to be chosen to review ThermaCELL Heated Products and test them out because something tells me this winter we are going to have some pretty cold temperatures, although fall has not been too bad in all honesty. 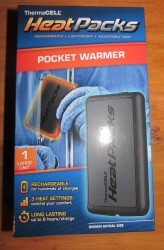 First I will talk about this awesome ThermaCELL Heat Packs Pocket Warmer. WOW! My husband is a hunter who carries a hand warmer pouch, so this is absolutely perfect. This rechargeable product warms up to 116 degrees. Of course with a lot of products there is always a level of being a skeptic, but not with ThermaCELL. Each charge can last up to 6 hours which is amazing! What I have also noticed is that when this pocket warmer is added to the fleece pouch that my husband uses it does not have to be turned on constantly, so you would get more use per charge. These are shock resistant and water resistant as well which provides the utmost safety. I am also happy that there are 3 heat settings that are super simple to change. Pictured below is the actual unit which comes inside a great boxed package and includes a USB wall charger, USB cord and instructions. Next we will talk about the Heat Packs Hand Warmers are pretty much the same concept as the Pocket Warmer except they come as 2 smaller units. This is how they arrive and I love that they come with 2 USB cords for faster charging. These units charge in 4 hours or less and also heat up to 116 degrees with 3 heat settings. While my husband loves the Pocket Warmer, I prefer these. I always have on a jacket while being outside taking care of our animals and I like to have a warm place to keep my hands while the hose is filling up buckets of water or while I am waiting for the dogs to come back from running around. Again as with the Pocket Warmer, these Hand Warmers are shock and water resistant. No worries about safety yet again which is a big deal for me. Something else I love about both products is that we have a USB charging outlet in our truck, so we can charge on the go. 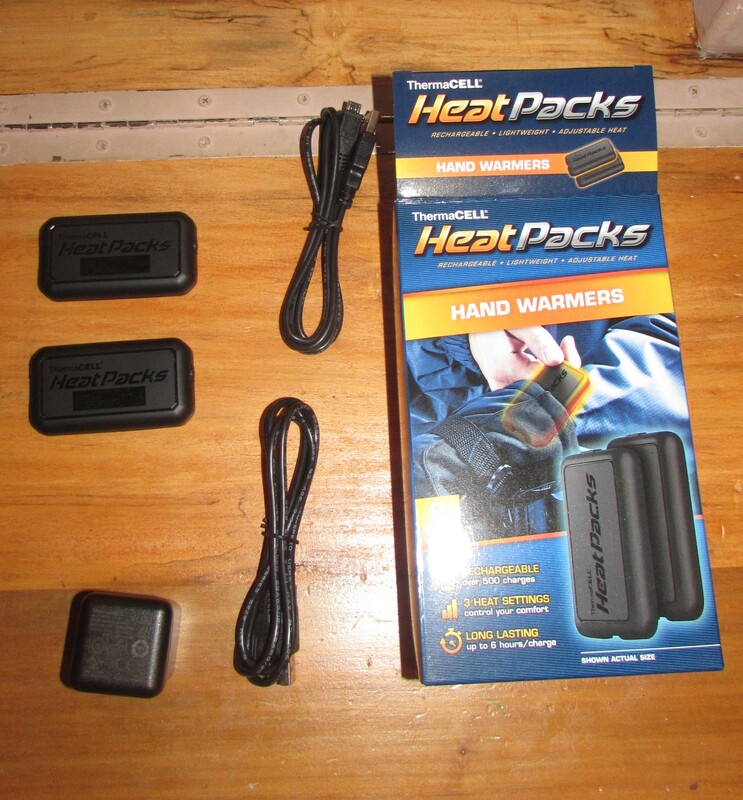 These awesome ThermaCELL Hand Warmers retail for $79.99. I am saving my personal best for last though, just when I thought ThermaCELL could not do anything any better my husband and I both were able to review the Original Heated Insoles. Pictured above is the pair my husband got. He was absolutely thrilled. He loves that while these keep his feet warm they do not make him sweaty. He also loves the remote control feature for turning them on and off. He mentioned to me that walking to his tree stand his feet would get extremely hot while moving around, so he leaves these turned off until he reaches his destination and then turns them on. He says his feet stay toasty warm now. These are so simple to install, there are trimming instructions if they do not fit your boots perfectly and I find that they are just an all around great product that has so many uses. The package for both men’s and women’s includes the following: 2 Heated Insoles equipped with integrated rechargeable lithium-ion polymer batteries; 1 remote control with battery; 1 lanyard; 1 drawstring travel bag; 1 wall charger; 1 instruction booklet. Everything you need to be ready to face even the coldest day. I am amazed at the facts of this product. 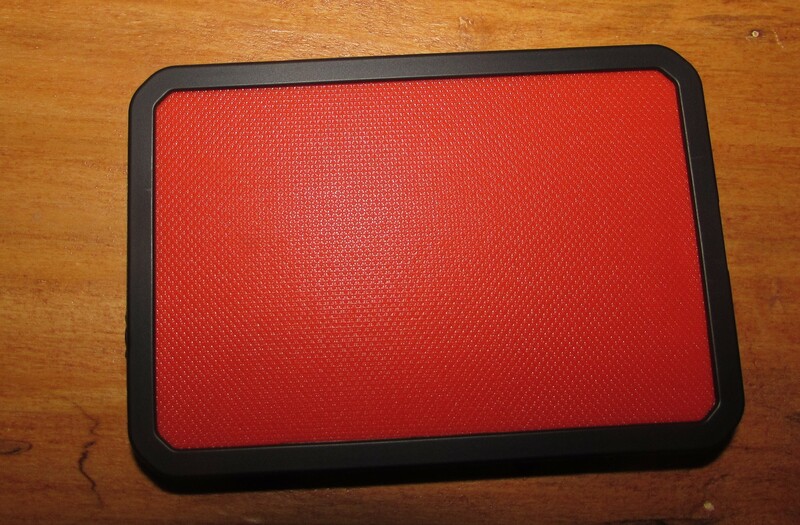 You can recharge up to 500 times, the charge lasts up to 5 hours with constant use (again you might want to turn them off while walking around so you are not constantly using that charge) and they heat up to 111 degrees on the highest heat setting. One of the best things about the Original Heated Insoles is that you can find a size for practically anyone. Fits men’s shoe sizes 3.5-13 and women’s shoe sizes 4.5-14. My pair of heated insoles fit perfectly in my shoes. I used them for just a bit because I have not been outside much this season in the really cold temperatures, but boy was I happy! I love that these heat up pretty fast. I am so happy to have something to keep my feet warm because lets face it, if your feet are cold your entire body is cold. There is no worse feeling than not being able to feel your toes!! The Original Heated Insoles retail for $134.99. So with all of the products covered in this post I have to say that I am highly impressed with ThermaCELL and the wide range of cold weather products that they offer. 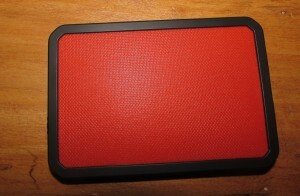 The ThermaCELL Heated Products make awesome Christmas gifts and they are great for both men and women. The versatility is amazing and I have to say I am hooked!